Why your guests deserve to have professionally laundered linens? We've invested in a professional linen service utilizing the right equipment and trained personnel needed to achieve the professional results you need to keep your guests safe, happy and booking their next stay. 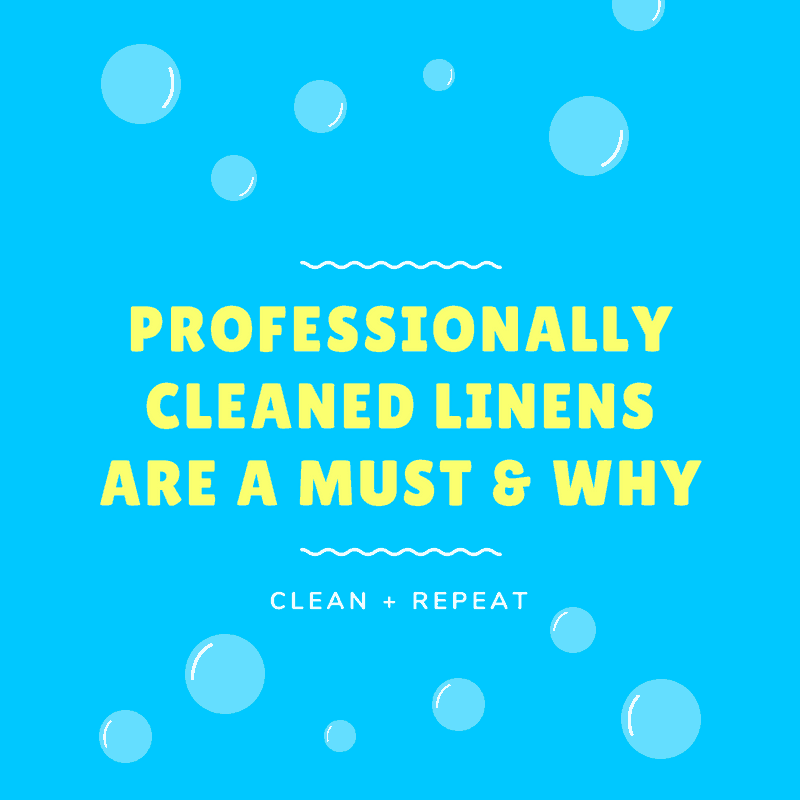 Clients and prospects constantly ask why we don't cut corners when it comes to cleaning linens - so we've put together a resource to showcase why you must go professional.